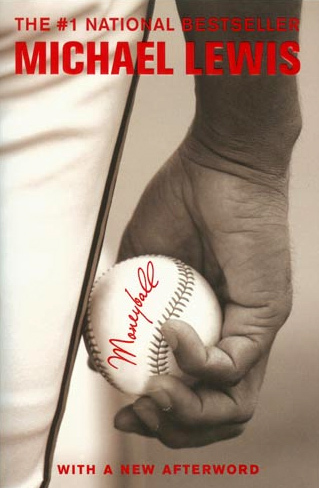 Continuing Wallpapering Fog's series of occasional book reviews, we have Moneyball, a book about baseball statistics and a team called the Oakland A's that I picked up on the recommendation of @AdContrarian. I know very little about baseball, other than that I watched a game on TV in a hotel room in New York once and found it quite dull. Before reading Moneyball, I'd never heard of the Oakland A's, but none of that matters. Moneyball is a stunning piece of work. Baseball is the background for a story about how to change a business. The huge number of games that get played and the set-play nature of the games make baseball a statistical goldmine, where a few amateur analysts had noticed that a lot of long-standing, established wisdom about the game, was wrong. One team - The Oakland A's - take this knowledge, which was freely available to anybody with an interest and set about building a team based on what they can prove about the tactics and the types of players that win games. They turn on its head the idea that the team with the highest paid players will always come out on top. As I read Moneyball, comparable problems from business, marketing and other sports kept jumping out. You find that you break from the page to wonder if the management at Stoke City FC have read it, or to curse (having worked for a year at EMI) that more people in the music industry haven't. You can't help wondering how many of our own established marketing practices are wrong and which ones we could prove definitely are. Baseball's brimming with statistics and yet the task of breaking established ways of doing things is incredibly hard, even when the evidence is staring you in the face. Marketing's a black art at the best of times, where it's much harder to produce the battering ram of hard stats that at least point the right way. For me, as a statistician, Moneyball inspires, by showing just what can be achieved by dispassionate analysis and is daunting in its illustration of just how hard you have to work, to make the changes you've proved need to be made. Baseball went thirty years before anybody with money and control of a team paid attention to the hard evidence that established tactics and the usual metrics that were used to value players actually harmed your chances of winning. Once one team picked up this knowledge and started to apply it (via a General Manager who couldn't care about who he needed to fire, intimidate or cajole to get his way), years went by before other managers started to ask how they were being consistently out-performed by a team with only a third of their player budget. In short, read Moneyball. You don't need to know anything about baseball (though a little understanding of a few key terms, like base stealing, helps) and I promise by the time you've finished it, you'll want to make changes to the way that you work. It's the best non-fiction book I've read this year, by miles.